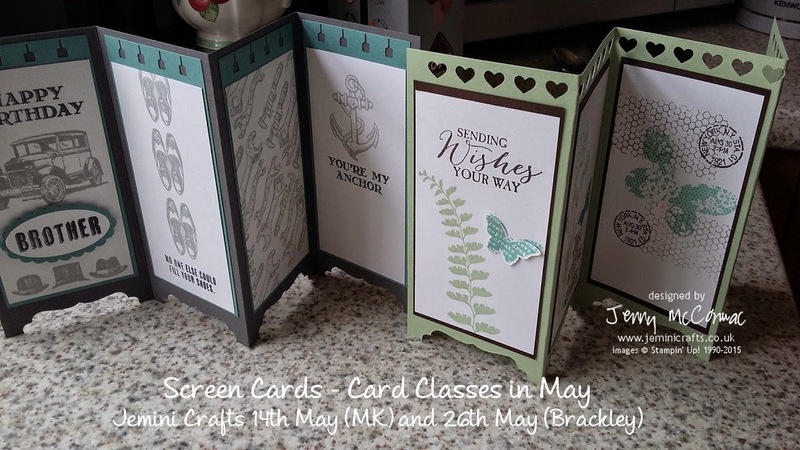 I am very excited to be sharing with you the projects for my next round of classes in Brackley, Milton Keynes and now Towcester (Northamptonshire). We will be making these screen fold cards - they are so effective, fold nice and flat and fit in a standard 6"x6" envelope. 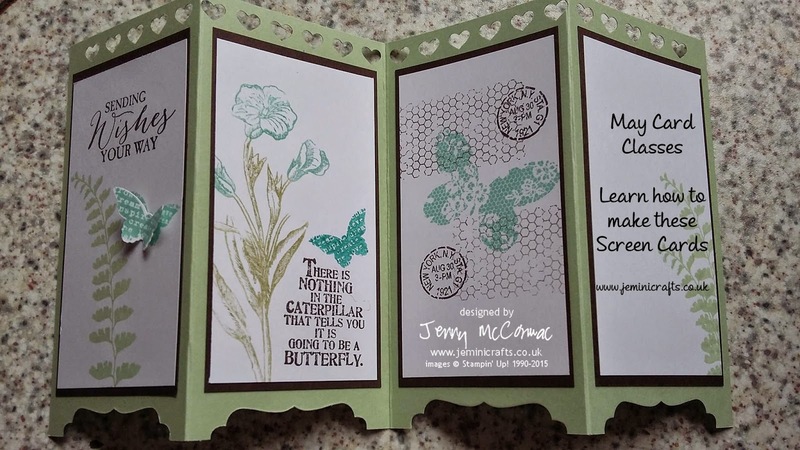 Class members can make 2 of these cards, and have a choice of masculine/feminine cards - or a mix of course. Great for Father's Day which will be upon us sooner than ever, or any make birthday or occasion. If you would like to join us at any of my classes, please visit my Class Events Calendar below for more details and to book. Dawn Griffiths in the USA.